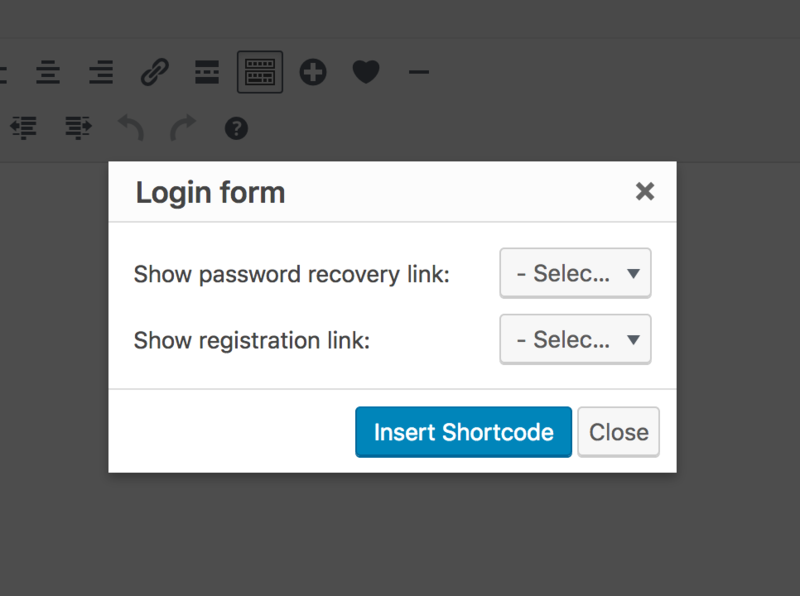 To insert a login form into pages or posts on your WordPress website, open up the shortcodes editor and select "Login Form" from the "Forms" menu. A window ( displayed into the screenshot above ) will appear, displaying all the available parameters. It is recommended that you always use the shortcodes editor to add shortcodes to your pages/posts. In this way you're sure your shortcode has been added with the correct parameters configuration.